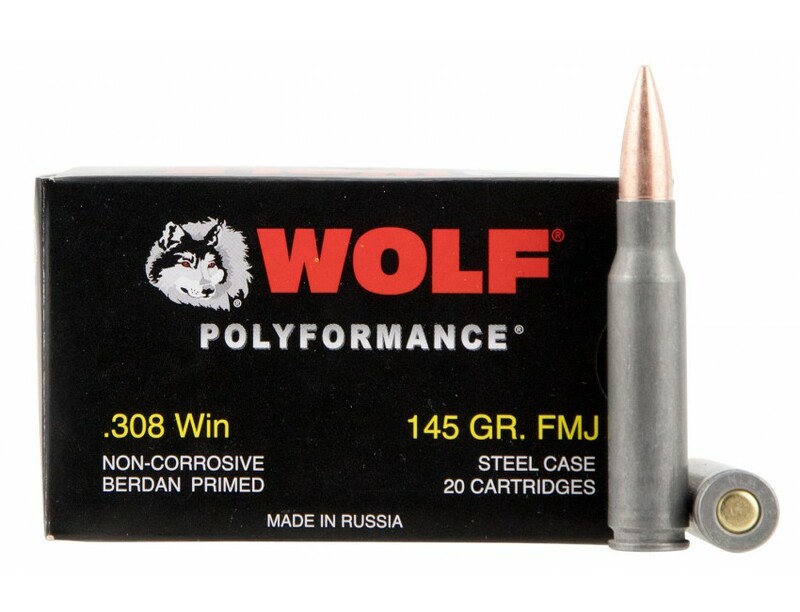 WOLF PolyFormance Rifle Ammo for Hunting/Target. 308 Winchester/7.62 NATO, 145 GR, Full Metal Jacket. Case price, 25 Boxes with 20 Rounds/Box, 500 Rounds Total. Wolf's PolyFormance load features a PolyFormance coating which ensures smoother feeding and extraction. It is ideal for your recreational, competitive and tactical shooting enjoyment.This 308 Winchester load comes packaged 20 rounds per box, 25 boxes per case for a total of 500 rounds.